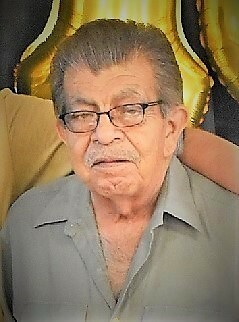 Full Name Alfredo B. Figueroa, Sr.
Additional Information Family and friends will gather to recite rosary services at 3:00 PM Sunday, December 16, 2018 at McNett Funeral Home Chapel and funeral services will begin at 4:00 PM Sunday at McNett Funeral Home Chapel with Deacon Jose Gallegos officiating. Family and friends will gather to recite rosary services at 3:00 PM Sunday, December 16, 2018 at McNett Funeral Home Chapel and funeral services will begin at 4:00 PM Sunday at McNett Funeral Home Chapel with Deacon Jose Gallegos officiating. Cremation arrangements are under the personal care of McNett Funeral Home.